When looking for a lamp there are a lot of factors that you have to consider: you have to find the right design of the armature, it needs to be energy efficiency, the strength and color of the light needs to be correct and it should have the right price. You often spend way to much time in local shops finding products that are way to expensive and that are not a 100% fit of what you expected and needed. 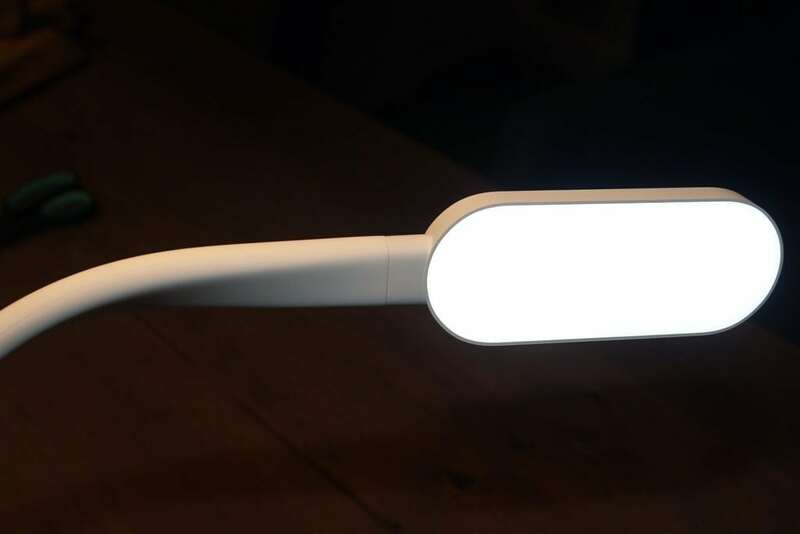 Because of all of these uncertainties, it was a bit of a shot in the dark to order the Yeelight LED Table Light, but I soon find out it really brightened up my day. I bought the Yeelight LED Table Light at Gearbest. The specifications below are as stated on Gearbest. Please note the Yeelight LED table light has two variants: one with a built-in battery and one without. The variant reviewed is the one with a battery. Judging by the specs and the elegant design as shown on the product page it should be good. Xiaomi has the reputation of releasing affordable design products of very good quality. 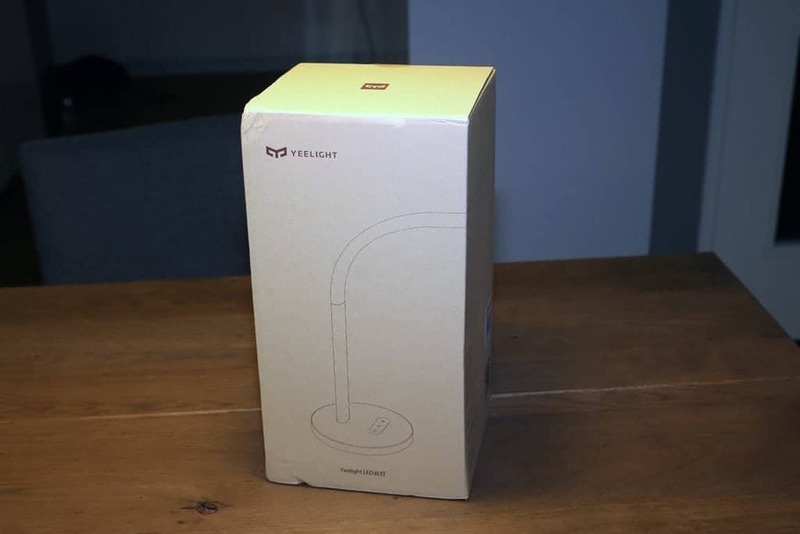 The Yeelight LED table light is packaged in a cardboard box, which protects the LED lamp well. No. The dimensions of the box are way too big! The box contains the LED table light, a USB cable, and a product manual (no power brick is included). The base feels very solid, it has rubber pads for grip and an on-off switch that overrules the touch switch on top of the base. On the back of the lamp foot is a micro-USB socket for powering and charging. The top and sides of the table lamp foot are made of hard ABS plastic (non-shiny). On top of the foot, the three touch buttons can be found. The color temperature touch button, which cycles through 5 temperatures (from 2700k to 6500k). The first part of the lamp arm is solid ABS plastic, the middle piece is made out of silicone and can be bent freely. Under the silicone surface is a metal memory hose to keep the arm in the bent position. The lightning unit itself is covered by a plastic diffusion plate which provides a uniform spread light. The top part is the only part that feels less solid than the other parts and feels a bit plasticky. Even when leaving the LED lamp on for a longer period, the LED light does not get warm. That is because it is only a 5V/5W light unit. The supplier states that the lighting time is up to five hours, at 60% brightness. I got to more than five hours, but (probably) not at 60% brightness. 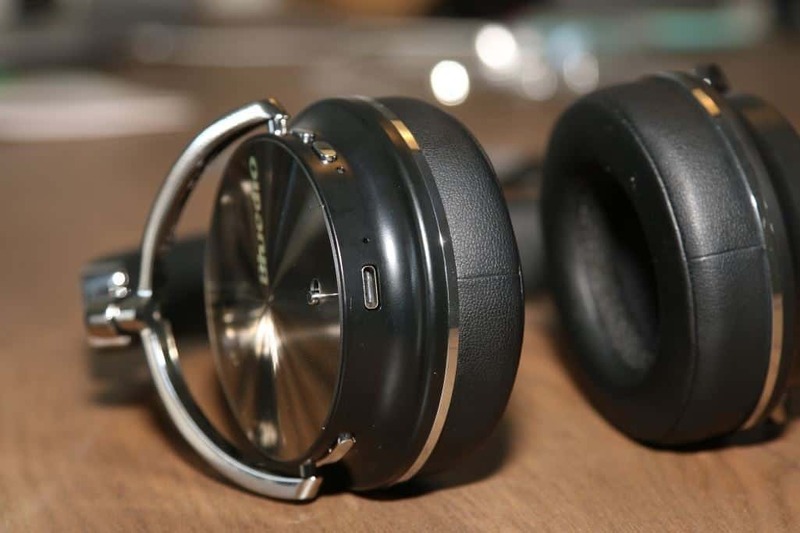 The product itself is portable due to its built-in battery. The lamp is flexible enough to fold in the arm and put it in a backpack or suitcase (I would suggest folding it in a towel, the base is pretty scratch resistant but the top is not. On the product page was suggested to extend the built-in battery by connecting a power bank. 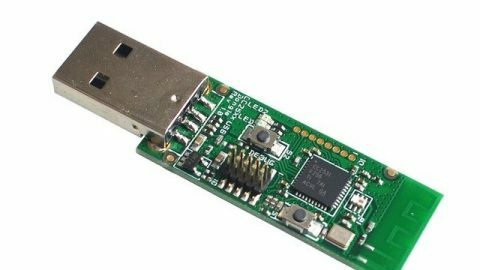 This works pretty well: you simply connect the power bank to the micro-USB slot and the internal battery life is extended with the capacity of the power bank. The LED lamp is marketed as a LED Table Light, but this is a bit of an understatement. Of course, it can be used on a table, desk or any other surface in the house, but the applications are much broader than that. The built-in battery (and the possibility to simply extend its capacity by connecting a power bank makes this product very useful for applications outside (warning: the product is not waterproof), on camping or to light a place with to power source nearby. 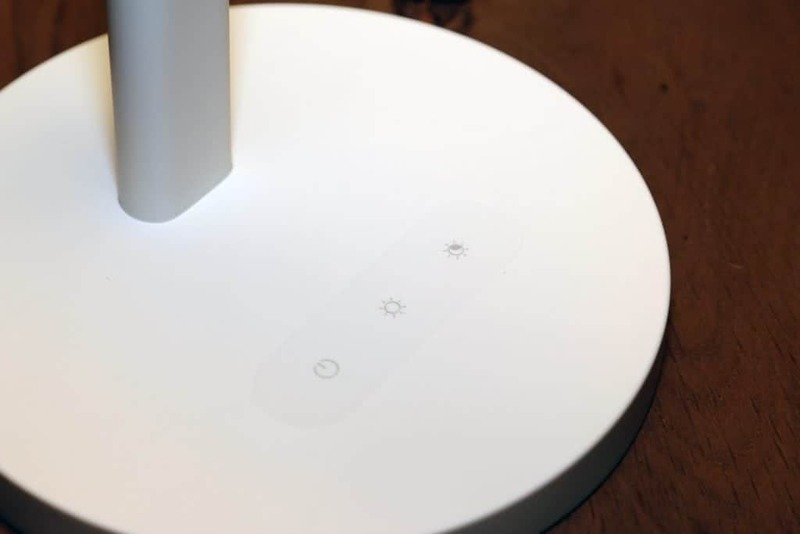 One of the big drawbacks of the product is what you see is what you get: there are no built-in Bluetooth or WiFi functions to connect the lamp to a bridge. The are other rechargeable LED lamps, but only a few are desk lights. They are cheaper but lack the capacity (in battery and lightning) and some of the functionalities the Xiaomi Yeelight LED Table Light has. I also expect the built quality and the design to be less premium. 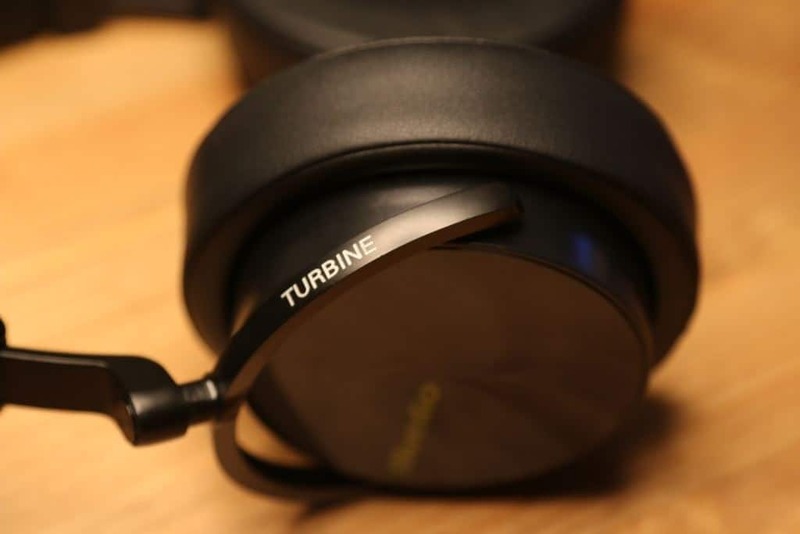 The design and build quality are very good. The brightness and color temperature can be adjusted. The energy efficiency and its built-in battery make it a very flexible lighting source. Not a smart light, so cannot be controlled by an app or smart home solution. The power plug is not included. Finding the touch-sensitive button in the dark takes a bit of practice. The price quality of the product is good. It is not the cheapest LED lamp you can get on Gearbest, but the design and its functionality make it worth your money. 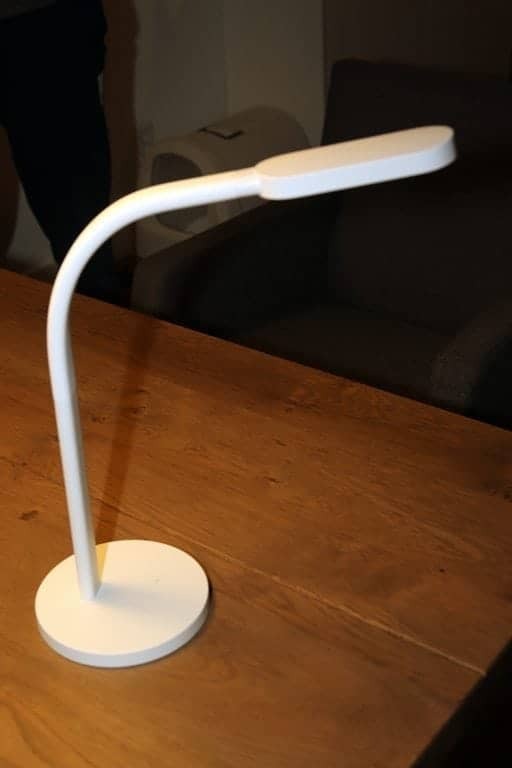 There is also a Yeelight LED Table Light available without the built-in battery, choosing that one can save you about € 10 on the purchase price. When looking for a desk lamp the Yeelight YLTD01YL LED Table Light is a good option to consider. It has an elegant design, an internal battery and its build quality is very good. 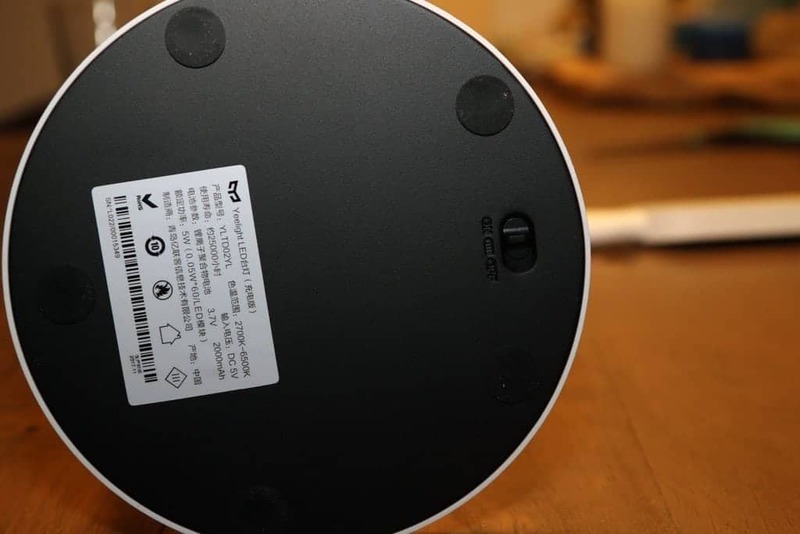 When using a power bank you can extend its capacity which makes it a lamp you can also use outside the house or at a place that lacks a power supply. Next post Keep your Domoticz config safe by using a Domoticz backup script!